He said he was Alicia Keys' DJ, and given access to 3 Philly schools. A student sniffed out his lies. The Philadelphia School District headquarters at 440 N. Broad St. The famous DJ entered the Philadelphia High School for Creative and Performing Arts on Thursday with an entourage and the blessing of the Philadelphia School District. He worked for Alicia Keys, the students were told. He wanted to talk to them about the music business and staying in school. He introduced himself to students as "DJ Official Silent Assassin." But something seemed off, one teacher said — "He spoke in this really quiet voice, and what he was saying was just bizarre. The bodyguards that were with him had wires in their ears, but they weren't attached to anything. He was rambling on about Alicia Keys." Later that day, school officials realized a problem: The man they let stroll into three schools in two days was actually Jerez Coleman, with a federal prison record for hundreds of threats against the Washington transit system and known as "Kidd Cole" on the MTV reality show Catfish, which shows people who create fake identities online. Spokesman Lee Whack said the fault was the School District's. "He was an impostor, an impersonator, a fraud," Whack said Friday. "He should not have been approved" to enter the buildings. "It was unacceptable that it happened, and we are reviewing our procedures to make sure it's something that never happens again." Describing himself as Keys' DJ, Coleman, who also attended National College Signing Day in Philadelphia, initially reached out Wednesday to the school system and some principals, asking to visit schools, Whack said. He said the singer herself might also come along. 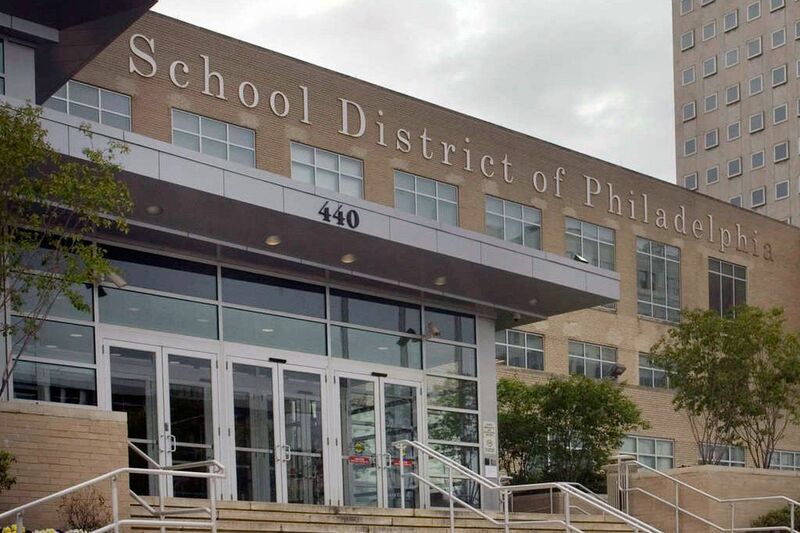 Coleman got a central office staffer's blessing — Whack wouldn't say who — and showed up at South Philadelphia High shortly before dismissal. He was there less than 10 minutes, Whack said — "students were not very interested in what he was talking about" — and the next day visited Benjamin Franklin High School, escorted by School District staffers. "It's my understanding that he spoke to students about the music industry," said Whack. "He encouraged them to stay in school, and things of that nature." Next, he went to CAPA. The CAPA teacher, who asked for anonymity because she was not authorized to discuss it publicly, said staff and students were aghast that Coleman and the others were let into the building with so little vetting. In order to volunteer at any school, parents must submit to extensive background checks. One CAPA student, suspicious about the alleged DJ, took out her phone and searched Google while Coleman spoke, the teacher said. The student discovered Coleman's reality show history and 2016 conviction. "Students were saying, 'This guy was so obviously not real,'" the teacher said. "They saw it right away. Why did the adults not see it?" In fact, School District staff escorting Coleman in CAPA and Benjamin Franklin carted cameras and took photos of students they hoped to use to promote the district, Whack said. His visit to CAPA was first reported Friday by 6ABC. "We were thinking that this was a good thing," said Whack. "None of those photos will see the light of day. They will be deleted. We are supposed to do our due diligence to check into people's backgrounds, to make sure they are going to be speaking about age-appropriate things, to make sure they are qualified, and to make sure they are safe people to be around our students." Coleman even asked some CAPA students for their Instagram account names. He wanted to follow them on social media, he told them. A number of students obliged, then blocked him after the hoax became clear. "It still feels creepy," the teacher said. "Kids are worried."